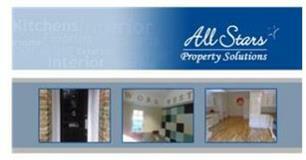 Allstars Property Solutions Ltd - Builder, Painter/Decorator based in Thames Ditton, Surrey. Refurbishment Specialist & Project Management. All Stars Property Solutions is based in Walton-On-Thames, Surrey. We started decorating homes in this area from 2004 and have continued to grow into a more dynamic company now offering a wide range of services. From painting to a full re-development of your home we can help. Are you looking for a trusted and recommended tradesman? Count on us to treat your property with respect and leave it looking perfect. Our client base comprises many repeat clients and referrals, which speaks volumes about our reputation. We aim to get the best out of your project in a safe and efficient manner and carry full insurance just in case. Our team has expertise working on all types of buildings and can tackle almost any request to improve the interior and exterior of your property.